While the world waits to hear Eminem's long-awaited comeback album Relapse, it's been revealed that one of the consequences of its long gestation period is that Dr. Dre's new record Detox has been delayed. 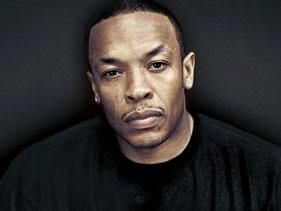 Dre, of course, has been handling the production of Relapse, but when the recording of that album took longer than expected, he was forced to put work on his own LP on the back burner. However, Interscope-Geffen-A&M chairman Jimmy Iovine has told Billboard that Dr. Dre should be back working on his own material in January. "He'll be finished with Eminem by then, and he'll finish his album," he says. "Eminem was always coming next year. But what happened was, I lost Dr. Dre to Eminem. Dre had to stop making his album to finish Eminem's album. "Eminem hit a streak, and when a guy like Eminem gets on fire, you stop everything. That's how we lost Dre".